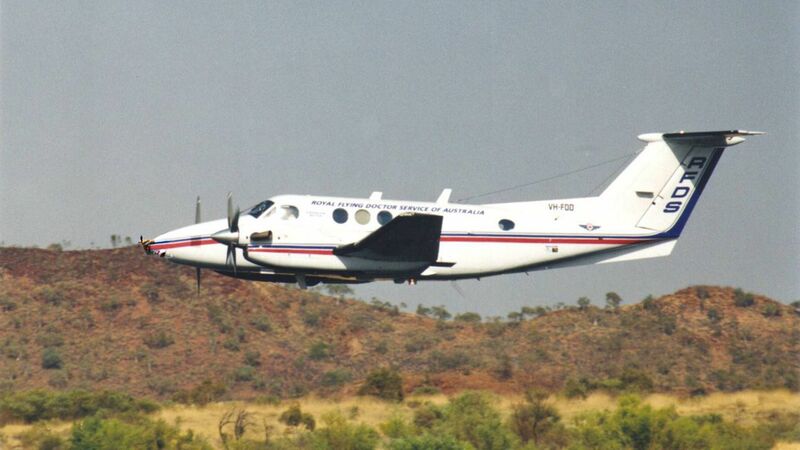 Here's where to watch every episode of The Flying Doctors season 5. Mouseover or tap an episode to see where to stream it. Click or tap the play icon to stream it on the best available service. The Gift May 18, 1989 Doctor David Ratcliff from Broken Hill arrives. Jimmy and Sally McCarthy has a caraccident. Sally will be fine, but Jimmy has massive braindamage. David says Jimmy is clinicly dead and wants to call the transplant unit. But Chris wants to wait for Geoff, he is out on a clinicround. When he comes home he confirms what David's been saying, Jimmy is clinicly dead. But David has acted very badly toward Jimmy's parents. Despite that, they agree to a transplant! Chris wonders if Geoff and Kate really are getting married, since Paula say they are. Kate hesitates, but finally says ""yes""!!! Second Chance May 25, 1989 Emma is trying to get a truck out of some water which it has fallen into, Paula is helping her. The truck falls on Emma's arm and she is trapped with her arm under the water. Paula calls the base for help. David and Geoff arrive there, but they are having problems getting her out, at one point David suggests they might have to amputate her arm. The water is rising and unless they act quickly Emma will drown. With the help of Mr Baxter they just get Emma out in time. Not The Malarvys Jun 1, 1989 The Malarvy-family comes to Coopers Crossing when their daughter is hospitalized due to pneumonia. They have eight children and the oldest daugther looks after the rest of them. She meets David and at a party she accidently ""thinks"" David proposed to her. She is really thrilled and tells her parents right away. They also like the idea of their daughter beeing married to a doctor. After a lot of talks, explanations and misunderstanding the girl understands and decides to go to nursing school in Broken Hill. The Adventure Jun 8, 1989 Luke becomes suspicious of the safari group that arrives in Coopers Crossing. When Paula joins them, Luke follows headlong into the jaws of disaster. No Man's Land Jun 15, 1989 Chris and David arrive at a place to do a clinic run, a mother lives there with her 2 daughters. They seem like they have something against men and aren't too keen on David, they were expecting Kate instead of David. David has to sleep in the shearer's quarters. When older daughter sees her sister in the barn kissing a bloke she goes after the bloke with a whip. The younger daughter has had enough and wants to go to Sydney to look for her father, her mother is against this. Then it comes out that the father abused the older daughter. Rising Sundown Jul 6, 1989 A lady named Essie Harrington is selling her property. Two japanese men shows up at the auction and they lay the highest bid. This upsets almost everybody, especially since Essie's husband was killed by the Japanese during the war. The tension is to much for Essie, she collapses and is brought to hospital. When she feels better David says he'll tke her back home, but someone has sabotaged the plane, thinking David would fly the japanese men. David makes a force landing, and he and Essie are ok. Essie decided to sell her property to the neighbours and the japanses men leaves! Man and Boy Jul 13, 1989 A young boy named Ricky gets hit by lightning. David, Kate and Sam manages to get there, but the storm makes sure they can't take off. Ricky is in agony and Kate wants to let Ricky die. But David says he, as a doctor, can't just let a patient die. Finally a helicopter gets there and Ricky is brought to hospital. He will be all right. The Longing Jul 20, 1989 An aboriginal couple, the woman pregnant, has a car accident, but is all right. The man, Joe, gets a job on a farm and his wife Sheena accompanies him. Joe gets fired and they both move to an aboriginal camp nearby. Sheena is about to have her baby but something is wrong. Joe goes for help, but is beaten up. Finally David and Geoff comes and they also find out about Sheena. Geoff realizes he won't be back in town for his wedding which will take place the following morning. Kate refuses to postpone the wedding, which means they are joined together in holy marriage over the radio! Bitter Harvest Aug 3, 1989 Chemicals are being dumped illegally. A family returns home after a holiday to find crops are dead and stuff all over the place. The father has a row with the man that should've been looking after the property, it seems like he is drunk, they start fighting and the man gets shot and dies. The father goes off on his own on a horse for 2-3 days. The boy starts feeling sick and having trouble hearing. Chemicals are found to be in the water. The father needs to be found but no one knows where he has gone, he is eventually found. The Instrument Aug 17, 1989 David, Kate and Paula go on a clinic run to where men are working in a mine. A man has cracked ribs, David advises him to stop working but he won't, the man also fights in a boxing match which he held at the bar. David finds out the man is taking drugs. David goes into the mine just as it is about to be blown up to rescue the man, they just get out in time. Word and Deed Jul 31, 1989 Jacko is babtizing a baby who is ralated to Sam. Afterwords Sam discovers some burnmarks on Jacko's hands. He is taken to hospital and diagnosed with leprosy. He can be treated but everyone is upset and stays away from him. He gets sad and flies away without telling anyone. When they find out and try calling him on the radio there's no answer. Geoff and Sam follows him and manages to locate him. They talk to him and soon Father Jacko is himself again! All That Glitters Sep 7, 1989 A rich man called Barry Ryan comes to town. He is out with some horses when Luke, who is nearby, hears a shot. Barry has been shot and is taken to hospital. But Jack has a problem, it seem no one was out there except Barry - and Luke. Jack finds out Luke once killed a cop, and puts him in jail. Finally it turns out Barry was trying to kill himself, and Jack and Luke are friends again. Fly Past Sep 14, 1989 DJ gets a call, a stationhand has a broken leg. Chris flies out and sees the worker - who turns out to be Tom Callaghan!! He isn't too badly hurt and everybody wonders why Tom isn't working as a doctor. They throw him a big welcome-back-party at the pub, but he acts strangely and is very rude. The following the his flies out to the property where he is working with David. But in the plane David is stung by wasps and has an allergic reaction. Tom performs a tracheotomy and calls Mayday. Sam is out on a clinicround and can't help, so Chris takes a Cessna up and tries to talk Tom down. Amazingly he manages to land the plane with only a few difficulties. Later Tom talks to Chris about some things he experienced in Africa, but then leaves for the farm. The Last Rodeo Sep 21, 1989 A girl named Kathy complains of stomachpains and Chris does some tests. Kathy's father shows up secretly and he and Kathy leaves during the night. The tests show Kathy is a diabetic and Chris and Dougie tries to track her down. They succeed eventually but Kathy is in a coma. She is taken to hospital and will be fine. And her dad sets things straight with her mum. Sky Above, Earth Below Oct 5, 1989 A little girl named Sophie falls down a mineshaft. Everybody tries to rescue her but it doesn't look too good. In the last minute David saves her, despite his claustrofobia! Lucky Lady Oct 12, 1989 An old man is found in the forrest, he claims to be searching for someone. He is dehydrated and goes to hospital, but runs away. It turned out he had crashed a plane outside the Crossing during the war, and his mates had died in the crash, he wanted to see the plane and the grave. He felt guilty for his friends dying, so I wanted to kill himself out there but was rescued by his son, Geoff and Emma. The Chips Are Down Sep 28, 1989 Nick's father, Jim, and Nick are out driving. Nick is a bit worried, the rumour says his dad takes amphetamine. Nick is asleep, when Jim suddenly can't see properly. He crashes into the Broken Hill bus! There are a lot of victims, and everybody is called in. Nick thinks they crashed because his dad was high, but an x-ray showed he had a braindamage. He goes to Sydney for treatment as soon as they found out. Guardian Angel Oct 19, 1989 Michael and Lee visits an old man named Karl. They work for a mining company and wants to do a survey on Karl's land, but he refuses. When they are on their way Michael starts acting more and more agressive. When they stop he goes mad and pushes Lee off a cliff! Michael is found and brought to hospital. After a lot of tests and troubles they found out he had rabies!! After a while Karl tells them there was a girl with Michael, and the search starts. She is found and will be all right. Before she leaves Coopers Crossing she promises Karl no survey will ever be done on his land. Battlers Oct 26, 1989 Nick and his friend Shane works for mr. Logan. Nick hurts his chest and Tom says he needs to rest for 10 days. Mr. Logan doesn't except that and to keep his job Nick keeps working. But one day he feels really bad, and mr. Logan says he'll drive Nick and Shane to town. In the car they start arguing, and mr. Logan dumps the two of them in the middle of nowhere. Nick is now unconscious. Mr. Logan's wife, Maria, suspects something is wrong and takes a car and goes after them. She can't drive well, and gets lost. Nick and Shane gets a ride to the nearest property where the Nomad picks them up. He needs immediate surgery, but will be all right. A search for Maria is organized and she is found in one piece! No Tears Nov 2, 1989 A man working for Baxter, Ben, has a caraccident. The RFDS comes and checks him out. They say he need an eyeoperation. But Ben has heard that Baxter wants to fire him, so he grabs a horse and rides off. After a while he is found and Tom tries to talk to him. When Tom steps outside tom shoots himself. A Doctor's Dreaming Nov 2, 1989 On the way to a clinic run some medical things fall off the truck and gets left behind. David returns to the hospital with some patients, only Geoff, Kate and Emma left at place. Geoff becomes ill, it's his appendix and it needs to be operated on, he is in an aborginal cave, Kate has to do the operation in the cave with instructions from Tom at the base. David is in a helicopter on the way back there. Kate manages to do it and Geoff is alright. Blues for Judy Nov 9, 1989 A girl who is a friend of Emma's give birth in her car, then leaves the baby outside Emma's front door wanting Emma to look after it - what she doesn't know is that Emma is staying overnight in town. The girl collapses and ends up in hospital, David is her doctor, he knows she has just given birth and is trying to get her to tell him where the baby is but she won't. The baby ends up being left out in the cold all night. The girl's boyfriend turns up aswell. Eventually the girl says where she left the baby and Emma and the boyfriend find it. The Claim Nov 16, 1989 Lorraine is killed while trying to mend her bridge. Her death leaves her best friend, Judith, to pick up the pieces and fight off a blackmailing claimant on Lorraine's will. A Rhyme for Reason Feb 8, 1990 Pip, an elderly lady who is the darling of Coopers Crossing, comes into some money. Dad's Little Bloke Feb 15, 1990 The accident of a young boy entangles his family in a web of deceit and suspicion. A Sporting Life Feb 22, 1990 Mel Cregan from Coopers Crossing is the big baseballhero in New South Wales. After a great game he and his dad, Kev, are celebrating at the pub with their mates. They are rather drunk but Kev insists on driving home in the middle of the night. They have an accident and Mel hurts his leg. They need to amputate but Mel doesn't allow it. Geoff and Tom goes through with the operation anyway, to save Mel's life. After Mel's operation he goes to Sydney for specail treatment. But he swears to sue Geoff and Tom. After a lot of hard times Mel realizes you can have fun in a wheel-chair - you can even sport.